Family friendly. No RSVP or fee required. Please – no pets. Driving directions are found on our Events page. This week saw a lot of bed prep – taking out weeds with our BCS power harrow, spreading compost – and then transplanting seedlings into the ground. 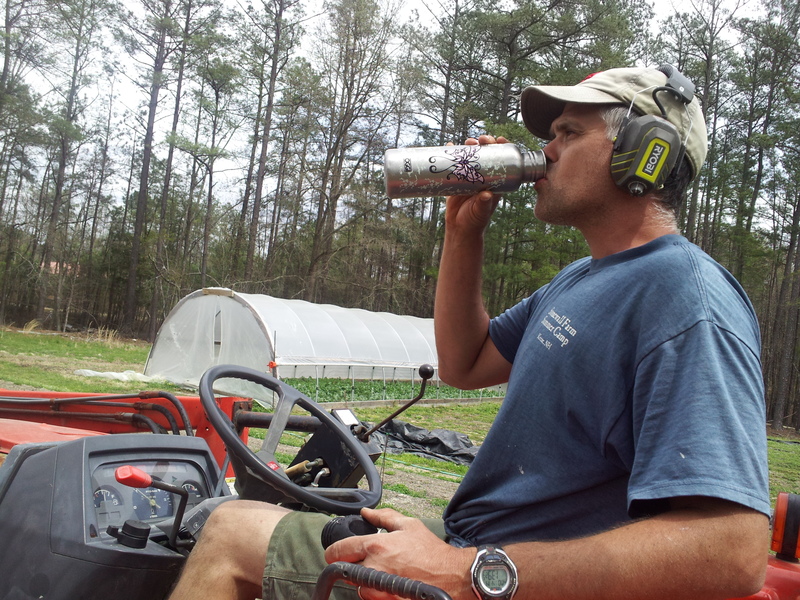 Sometimes we use this hand-held transplanter. It takes two people – one person drops the plants in the red chute. The recent warm days saw lots of growth, and thirsty farmers. But the cold nights this week did significant damage to plenty of our plants. Our Asian Spinach is not as plentiful this weekend as it would have been. C’est la farming vie. 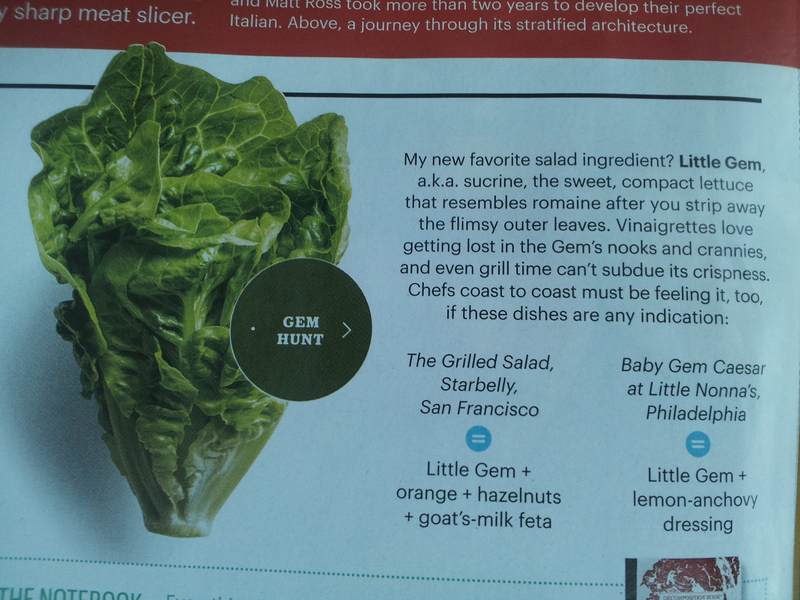 Here is an exciting hooray published about the Little Gem lettuce that we are picking right now. We highly recommend you give it a try and see how much dressing you can get lost in the nooks and crannies. It’s yummy. Tuesdays (April 22 – May 13) from 9:30am – 1:00pm. See details on our Events Page. 2014 Market Share CSA Members: Choose your selection through our Online Store to order for pick up on Saturday at our farm, at Good Health Herbs from 9am – 12:30pm (in Brandermill), or at the South of the James Market in Forest Hill Park from 9-12pm. Everyone else: Please sign up for our 2014 Market Share CSA and start placing orders now. Our Farm Stand will open up again once there is sufficient produce to stock it.